The Philosophical Tree is one of the notable tourist spots in the town of Biei, Hokkaido Prefecture. It’s a poplar tree that suddenly juts out in the middle of the wide farmland. It’s located among the hills that go off everywhere but it is that opposite-facing slanting stance of the tree which has given it its name of the Philosophical Tree. It is that force of life that is striking during the warm season when the greenery is thriving. Also in the winter, the tree appears even deeper in thought as it patiently puts up with the severe Hokkaido cold. No matter the season you visit, it will reveal a different expression. However in recent years, there has been some harsh criticism concerning the manners of tourists so that currently photography of the tree is now prohibited. The town of Biei is a popular tourist area where you can enjoy wonderful views to enrich your soul through contact with Mother Nature. In Biei, there are two prime tourist spots known as Patchwork Road and Panorama Road. Patchwork Road, a course in the northwest area of the town, oversees a patchwork of farmland growing a variety of produce and flowers. Meanwhile, Panorama Road is a tourist course in the southern area of Biei which has facilities for handicrafts and a photo gallery, and an observatory park. On this course, there are plenty of tourist spots such as a gallery by photographer Shinzo Maeda who put Biei on the map, an observatory park where you can have a grand view of the landscape, the Chiyoda Farm where you can pet animals, and a spruce tree which can truly be called a Christmas tree. 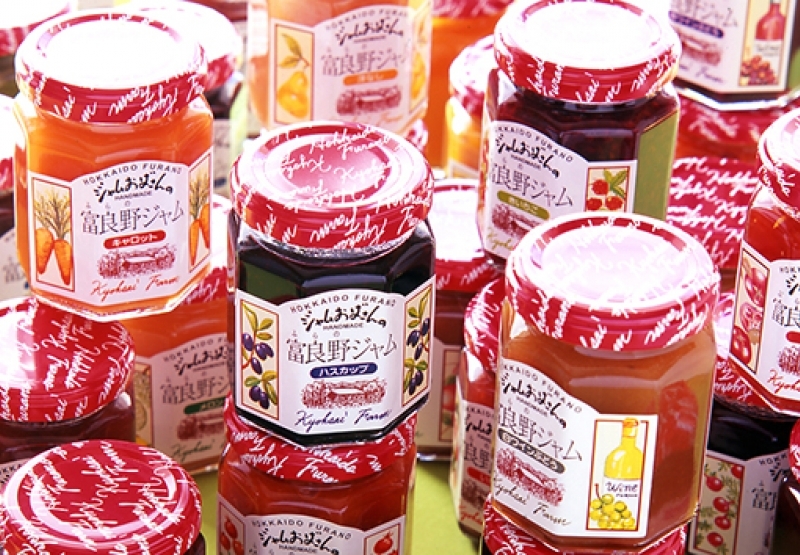 Enjoy delicious jam that uses fresh ingredients born from the plentiful nature of Hokkaido’s Furano at Furano Jam Garden. Located about 20km away from downtown Furano in Rokugou Village which became famous overnight due to the popular television drama “Kita no Kuni Kara” (From The North Country), it’s a place where you can fully savor the taste of nature in the middle of a grand wilderness. Jam is made to bring out the essential sweetness of the ingredients, and in the interests of health, does not use any preservatives or flavorings. Please have a taste of these delicious ingredients which were created from the extremes of heat and cold that is the special feature of the Furano Basin. In addition, you can also learn secret recipes and the keys to making good jam in jam-making classes (reservations are necessary and are accepted up to the day before your visit/there is a separate fee). You can purchase 38 different kinds of jam at the gift shop where you can even sample them. At the café corner, there is even ice cream with some of Furano Jam Garden’s famous jam plentifully on top. Along with coffee and wine, the gift shop also sells Furano specialties so that you can enjoy the taste of Furano. Auntie Jam is the mascot character for Furano Jam Garden. The person who created her was none other than the creator of the world-famous anime “Anpanman”, Takashi Yanase. The Anpanman Shop was opened in the year 2000 at Furano Jam Garden, and it has features such as character merchandise and a gallery. Furthermore, there is the Rokugou Viewing Platform from where you can see the beautiful landscape of Furano which has been selected as one of the Top 100 Farm Village Views in Japan. Everyone from adults to children can take a breather there. Going there during the warm season when flowers such as lavender beautifully blossom is also recommended. 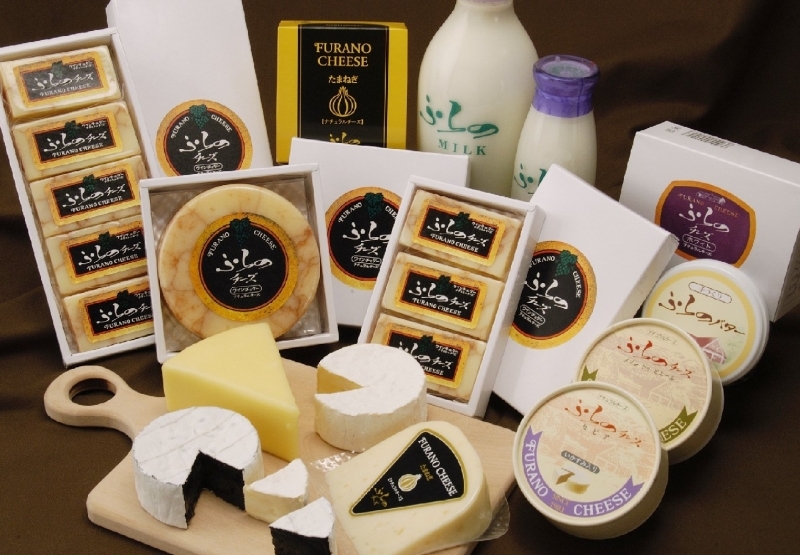 Select ingredients are chosen in the rich environment of Furano in Hokkaido Prefecture, and at The Furano Cheese Factory, the most delicious cheese is produced. Fresh milk from Furano farms is used which takes about 4 months to become cheese, and it is at this cheese factory that this process can be observed up close. The factory is surrounded by beautiful birch trees, and it’s possible to view the cheese production facility and aging rooms beyond the glass. You can also learn about the history of the cheese in the history corner. Within the learning facility, you can also sample the cheese made in the factory, so by all means try out this distinctive –tasting cheese. There is also a cheese-making workshop at The Furano Cheese Factory along with workshops to try your hand at making butter, ice cream and bread on a daily basis (prior reservations are necessary). Along with the cheese factory, there are also facilities for ice milk and pizza. The ice cream is popular, using fresh milk from the farms of Furano, the cheese from the cheese factory, locally-grown pumpkins, millet and other ingredients only found in Furano. You can sample the fruit sorbet that also only uses ingredients from Furano, and at the pizza factory, you can enjoy pizza topped with cheese from The Furano Cheese Factory that was baked in an oven imported directly from Naples. Local flour is used here which goes along with the characteristic that the dishes only use ingredients from Furano. Please come to The Furano Cheese Factory where you can sample the delicious ingredients born from the great environment of the Furano area. Need help planning your trip to Hokkaido ? If you are interested to know more and save your time during your trip to Hokkaido, You can send a message to our local guides to get a customized itinerary and quotation for an unforgettable experience. Was a wonderful day spent with Tatsuya. We had a chance to dine at local food places, and he was extremely accommodating on our requests and changes, and very patient with our little boy. Thank you!